During legal conflicts involving families in pending divorce cases, post-divorce actions and paternity actions, the interests of the child are separated from those of the parents. When a child’s best interests are in question, a court may appoint a guardian ad litem to represent the child. Our Fort Lauderdale guardianship attorneys represent clients in guardianship litigation, helping to ensure that our clients’ rights and interests are protected in difficult divorce and custody matters. In Florida, the order for a guardian specifies that the guardian is a party to any proceedings involving the child and is to be provided with copies of all pleadings, notices, stipulations and other documents filed in the action, and is entitled to reasonable notice before any action affecting the child is taken by either parent, their lawyers or the court. There are many circumstances in which a parent is not the best choice of legal guardian to represent a minor child in a family court proceeding, and a guardian must appear to represent the child. For example, if one of the parents has mental or physical disabilities, is incarcerated, or otherwise proves to be unfit or unable to provide for the child, a guardian may be appointed during litigation proceedings. In some cases, the assignment of a guardian can be highly contentious, and separate legal representation may be necessary to ensure that specific obligations and legal duties are upheld with regard to child custody, parental responsibility, child support, or time-sharing. Our firm litigates marital and family law matters within the context of guardianship issues, working to resolve cases as cost-effectively as possible while protecting our clients’ rights. If a guardian has been appointed in your family law proceeding, a Fort Lauderdale guardianship attorney can help you protect your interests while complying with guardianship requirements. 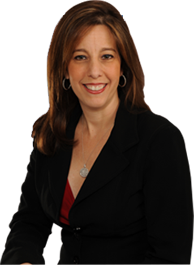 In Fort Lauderdale or Boca Raton, contact Sandra Bonfiglio, P.A. to schedule a consultation.